2019-20 Mite Madness Series, presented by Loudoun Ice Center!! Deposit required to guarantee spot can be made payable by check or credit card. Official Team Registration/Roster Form (1-T), stamped & registrar signed, is required once your registration has been submitted. Atlantic District teams are required to register and play in the same division and classification as depicted on your official USA Hockey roster. Out of district teams that register below their designated division and classifications will be placed after careful review. Submit to rosters@travelchamps.com – In the subject line of the email please include your Team Name and Division Registered for the tournament. Submit to rosters@travelchamps.com – In the subject line of the email please include your Team Name and Division Registered for the tournament. ADDED PLAYERS AND ROSTER CHANGES MUST BE TURNED IN 24 HOURS PRIOR TO PUCK DROP OF YOUR FIRST GAME. 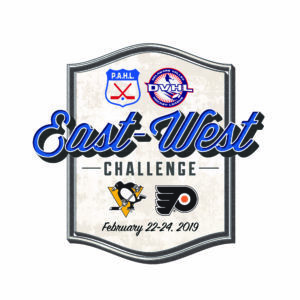 ANY ROSTERS AND/OR CHANGES NOT SUBMITTED 24 HOURS PRIOR TO PUCK DROP FOR YOUR TEAM MAY RESULT IN TOURNAMENT DISQUALIFICATION FOR USING INELIGIBLE PLAYERS. Players may only play if their name is on the Official stamped & registrar signed USA Hockey roster submitted. It is not necessary for players to sign the Official USA Hockey (T-1). Plan on playing your first game Friday at 10:00 AM. Game scheduling will permit time to visit enjoy the surrounding area. We will also try to take into account those teams whom have to come from a father distance to compete to allow for travel time. 4 game guarantee. 13 minute periods, with a running clock for Mites!!! Tournament Apparel available by pre-order as well as during tournament. TAKE A CHANCE TO REVIEW YOUR HOTEL OPTIONS BELOW!! Important reminder; each visiting team who registered is required to select a hotel from one of our hotel partners. Help us make the tournament an all around success! Loudoun Ice Center is a rink inside of a business park. As you going down the road, if you have reached a "T", you have gone too far. Parking is available along the side of the building. Please call (703) 444-0600 with any questions or concerns about finding the rink! ON-SITE CHECK-IN: There will be a registration table located at each rink. Please make sure that all team managers visit the table prior to their first game of the tournament to receive their complimentary box of Hershey's chocolate.